Last week, reports surfaced that Indonesia was looking at the potential of buying more submarines from South Korea. The development spotlighted the ongoing collaboration between the two countries in this aspect of their defense ties as well as its future prospects as Jakarta looks to expand its underwater capabilities. As I have observed previously in these pages, while Indonesia, the world’s largest archipelagic state, once operated one of the more capable submarine forces in Asia, today, it is woefully underequipped relatively speaking and is well short of the 12 submarines Indonesian defense officials had previously said that the country needs to police its waters. Though Indonesia has been eyeing a number of options to boost its submarine fleet, South Korea has been a leading partner in this regard. Indeed, with two of the three South Korean submarines Indonesia ordered back in 2012 received in 2017 and 2018 and a third being constructed, those, along with two German-built Type 209 submarines, form the basis of Jakarta’s current fleet. As those boats have been developed, observers have been looking to see whether there may be further developments in Indonesia-South Korea submarine cooperation. 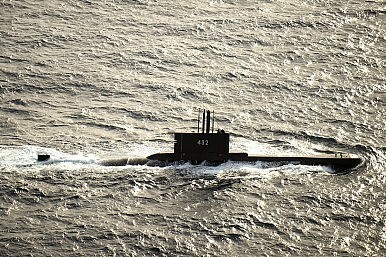 Last week, indications surfaced that Indonesia is looking at the potential of buying more submarines from South Korea. The news that Indonesia is currently actively in negotiations that could lead to the acquiring three more diesel-electric submarines from South Korea was first reported by IHS Jane’s on January 11. The report cites multiple anonymous industry and government sources as confirming since early January that Indonesian defense ministry officials are in negotiations with state-owned shipbuilder PT PAL and South Korean company Daewoo Shipbuilding and Marine Engineering (DSME) for a follow-on order of three Type 209/1400 diesel-electric submarines. The negotiations, the report said, relate to workshare arrangements that can be undertaken for each vessel as well as South Korean defense credit programs that can be undertaken to fund the acquisition. As of now, specifics remain to be worked out. It is unclear if the negotiations will actually be finalized, and, following from that, exactly what the timelines will be to move forward. But according to Jane’s, should the negotiations materialize, the contract, which includes a support and training package across all three submarines, is expected to amount to around $1.2 billion. Furthermore, in an indication of how the vessels are likely to be constructed, the first boat is to be assembled at DSME’s facilities in Okpo, South Korea, but will see the six modules assembled jointly by PT PAL and DSME, with the two Indonesian-built modules shipped to Okpo for assembly during the construction process. What’s Next for Indonesia’s Submarine Fleet? Despite some continued advances, Jakarta remains woefully underequipped.